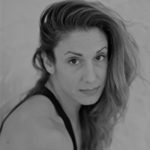 Lisa Carducci-Deringor, Artistic Manager – Institute for Dance, Inc.
Lisa Carducci-Deringor is originally from Detroit MI. She studied classical ballet and holds grades I-VII from The Cecchetti Council of America. Lisa has performed lead roles in The Sleeping Beauty, Cinderella and Coppelia. At the age of 19, Lisa moved to Los Angeles where she received a dance scholarship at Tremaine Dance Center. She has studied many disciplines under some of the industry’s top teachers and choreographers. Following scholarship she began working as a professional dancer and choreographer. She has performed on the MTV Video Music Awards, Billboard Awards, HBO Comedy Awards, and various tours, music videos, film and commercials. She has worked with such artists as Brittany Spears, N’Sync, Lenny Kravitz, Taking Back Sunday, James Blunt, and more. Lisa resides in Williamsburg VA, where she is the Artist Director of The Movement Dance Company and Artistic Manager and Instructor at Institute for Dance, Inc. When she’s not at iDance or spending time with her family, Lisa travels the world as a master teacher and choreographer.